Over the years for my Christmas Eve Homily I have looked at the Christmas story from different perspectives. From the Innkeeper, the Shepherds, the Wise Men, but I have always stayed away from the story of Mary. I admit there is something about Mary that I struggle with. But I believe we should look deeply at the things we struggle with. My struggle with Mary originates with the Virgin Birth. Of course I’m always troubled by the concept that the Christian Scriptures changed the wording in the Book of Isiah in the Hebrew Scriptures, from Young Lady to Virgin as a way to legitimize the virgin birth. Now of course today with in vitro fertilization or intrauterine insemination virgin births actually are theoretically at least a potential reality. It is an interesting point to think about what we consider a miracle in one generation is a common medical practice in another. But my bigger challenge is that I grew up in a neighborhood where Mary was a venerated saint. The church wanted to create their image of a perfect women, who was faithful, passive, modest and sublimating her needs to the needs of her family. Many feminist critiques of course point to this as a way the Church perpetuated the patriarchal system thus diminishing women’s power. Christians also used Mary’s virginity as a juxtaposition to Eve tempting Adam in Genesis as a way of showing Christian superiority over Judaism and thus adding to millennium of oppression for Jews. Many feminist writers object to the adoration of the virginity of Mary as well as it leads to unhealthy and negative views of sexuality and the suppression of natural sexual desire. When we suppress what is natural within us it often gets expressed in unhealthy ways. Lastly, there is also the question of consent, can there really be consent when one side is all powerful and can determine your life and death in this world? If you read the scriptures, people who reject God do not end up well in the story. And so after saying all that, There is still something about Mary that requires a closer look beyond the critique. First I want to remind everyone something that we often take for granted, childbirth should still be looked at as a miracle in and of itself I want to hold up the value of and importance of raising our children, no matter what our gender. We all want our children to live up to their potential and we all struggle to figure out the best way to accomplish that. We come together week after week after week to struggle together with that question. What must it be like to imagine your child is the messiah. How would that impact how you raise that child. This is a very common question every Jewish mother thinks about even today. I went to great lengths in my childhood to prove to my mother I was not the messiah. and then grieving their death and carrying on that child’s legacy. This is a human Mary I think we all can empathize with and relate to. Metaphorically, the reading by Jan Richardson, is a reminder of the courage it can take to say yes to difficult questions, to life altering decisions. To do the hard but important thing. by saying yes, our lives will never be same. Like Jonah in the Hebrew Scripture after reluctance, Mary says Here I am. We often initially reject the call of our soul. what if I fail. What if I succeed?. Who am I to do such a thing? Let us remember it was Mary who raised Jesus and taught him the messages of the Magnificat. Let us as we look forward to this upcoming year see where we can make a difference in the world and like Mary, I encourage you to answer the call to life, to say yes, to spend your time and thus your life meaningfully. I know this is not easy, but I invite you to struggle with it. Amen. Now I have something to ask of each of you to lift up the oppressed in our community. Each year at the Christmas Eve Service we do a collection for the Ministers Discretionary Fund. This fund is to help in a confidential manner those in our community who are in need. This past year it has been used among other things to prevent an eviction, provide a place to sleep, a meal to be eaten, and for holiday gifts to our staff. If upon reading this, or you have found my ministry meaningful, I invite you to go to uucqc.org and make a donation via paypal and in the memo line write MDF (Ministers Discretionary Fund). Thank you for considering doing this!! As we re-teach the lessons we learned in a new way to our children, we too learn, we come to notice the how the stories we hear subtly influence our lives. I’ll be honest, I never thought much about the Rudolph story. I saw it as a quaint coming of age story where others realized the potential of another. But if we are going to create a new world based on our values, where all are valued, not just for what they offer us, but for who they are we have to change our stories. People are not disposable, just because they do not benefit us. All have inherent worth and dignity. “Perhaps I should have been giving all the naughty kids solar panels instead of coal” Although we all need to be accountable for our actions, if we do not promote healing and reconciliation amongst each other, retribution leads to long term negative consequences for all. Dasher, Dancer, Prancer, Vixen, Comet, Cupid, Donner and Blitzen. For the most part, really non gendered names. I was really surprised by how much debate there is about this online. But the scientific proof is that male reindeer tend to lose their antlers by the end of October, so if Santa’s reindeer are shown with antlers they are probably female. So I invite you to shift your perspective about who is pulling Santa’s sled. I ask you to shift your perspective on what is real and what we have been conditioned to believe. I ask you to shift your perspective not just on this holiday but all year long away from consumption and towards caring and compassion for others and this planet. whether the number was 600,000 or 6,000, the leaders knew that on a practical basis if they were to reach the promised land, they would have to be organized. Trust me as we ready to gather for Thanksgiving, I know the struggle of just trying to organize dinner for 8 people in our family, let alone March multitudes across the wilderness. And from the tribe of Manasseh, Gamaliel was the chosen on to help organize. The second notation of a Gamaliel was in the Christian Scriptures in the book of Acts. He was a Pharisee in the Council and was considered “a teacher of the law, respected by all the people” Also according to the Book of Acts he was the teacher of Paul of Tarsas, who Saul Alinsky called the greatest organizer ever. After the death of Jesus the Apostles were arrested for preaching in the name of Jesus after organizing the people not in power including the sick and the mentally ill. After breaking out of prison, the apostles went to the temple, the seat of power to advocate for the people. It says the leaders were enraged and wanted to kill the apostles. After being re-arrested, Gamaliel in the face of the angry mob wanting to kill the apostles gave a rationale defense of the Apostles. He used his power and his influence to save the Apostle’s lives. I ask you to think how you can use your power and influence to affect change. And this Jewish teaching to me, this is the point of doing interfaith work for me. Much of the training was to better understand what motivates us to do what we do. I think that is important work we each need to do. We need to stand up for ourselves when we are persecuted. We cannot allow the systemic powers to crush our spirit. But alone, we are limited, both spiritually, religiously, and in our justice work. The training focused on how to organize power to bring the change we want to see in the world. One of the first teachings during the training was and analysis of the Melian Debate. This is a famous passage from the “History of the Peloponnesian War by the Athenian historian Thucydides. As you can see Melian is a small island. It had been inhabited by previous residents of Sparta but had remained neutral in the war between sparta and Athens. 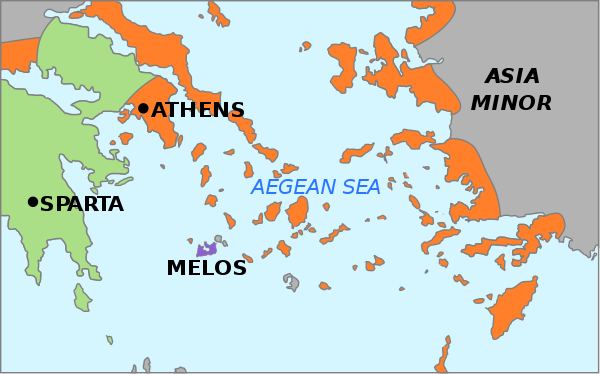 Athens and its allies are in orange here, Sparta in Green, and little Melos in purple. Melos was important as a shipping port in the war. During a ceasefire in the war. Athens arrived at Melos with a large fleet with soldiers demanding the surrender of Melos. The dialogue is an imagination about what happened during the discussion between Athenian leaders and the leaders of Melos. Athens appeals to pragmatism of the situation explaining that they were prefer not to destroy everyone, and it would be in everyone’s best interest if Melos surrounded. Athens would profit, Melians would survive. The Melians argued for the higher ideal of freedom. Athens expressed they would look weak to others if they allowed Melos to be free and that would encourage others to be free. Melos pointed out that by conquering them, it would push other neutral countries into the arms of the Spartans. The Melians argued that they were standing up for what is right, trusting the Gods and ensuring the Athenians that the Spartans would come to their aid. It goes back and forth for a while. In the end, the Melians would not surrender, The Athenians the much stronger power conquered them and after a couple of rebellions, the Athenians killed every Man and sold the women and child into slavery. As a class we were asked to act this out. We each had a chance to argue from each side. People were sent out of the room. At one point I was a Melian, I left the room and tried to organize all the people outside the room to stage a rebellion against the Athenians as Spartans. Cause Im just a rebellious kind of guy. And here is the interesting thing that happened. People refused to disobey the teachers orders to stay outside. They believed they were powerless to defy authority. And that belief was manifested in their lack of action. If we accept authority unconditionally without questioning it, we are doomed. That is why our third principles calls us to the free and responsible search for truth and meaning. But finding meaning is meaningless if we do not act on it. In our analysis of the Melian Dialogue it was clear The Athenians had an understanding of the situation, were calculating, acting strategically and with power. The Melians on the other hand lived in world of false hope. They were ideological, irrational, self righteous, believing the Gods would help them, but most of all they were powerless. I can relate to the Melians. Growing up in the Bronx, in the schoolyard, I was always shorter, less athletic, less physically powerful then just about everybody. And at least when I grew up I lived in a lord of the flies type environment, where there was not much adult supervision. I realized early on, there is no honor is constantly losing even if I was in the right. But neither could I just check out. We think we can check out, as if we are not impacted by the world. But let me tell you if we leave the fate of the world to others no one is safe and people will continue to be harmed and eventually that harm reaches us. Just as I had to learn to build my power in the schoolyard by learning new skills, I learned as well to partner with others in the schoolyard so we could protect each other. It is why in our experiment I left to try to recruit the Spartans. And it is the same in our lives, in the community and in the world. We need others to help us make it in this world. No one makes it alone. But it is not just about protection. We have to act to bring about our vision in the world. That is the vision I want you to have. Whether it is spiritual growth, pastoral care, or social justice, it doesn’t magically happen, we have to plan for it and we have to organize around that plan. One way we act in the world is to share our monthly collection with a social justice organization. This month we are sharing our collection is for QCI Restorative Justice Task Force working on breaking the school to prison pipeline. If you would like to volunteer on this project the next meeting will be Monday Night at 6pm at St. Peters Episcopel Church in Bettendorf. Please be as generous as you can. After you have had a chance to donate, we invite you to come down to light a candle to mark a joy or sorrow in your personal life. The Athenians had a vision, the Melians were only reacting to the Athenians. The Melians did not plan ahead and they paid the price. That is what the Board and I do as we gather each month. We plan for our Congregation’s future. We don’t just accept the status quo but explore what we will need to do keep Unitarian Universalism relevant and strong for the long term in the Quad Cities. This is something Gamaliel has done as well. To see what the status quo is, or as they put it the dominant narrative in society and they work to change that in the world. There are forces that would like us to believe a narrative that they want us to fit into because it benefits them but our religious values and our lived experiences tell us these narratives are false. the false narrative that says the government should be limited when we know it can be an organizing power for good. Gamaliel asks us to believe and work towards a transformative narrative, and as I read a part of it, you will understand why I feel connected to it, because it so mirrors our principles. The following are excerpts from Gamaliel’s transformative narrative. “Every human being is created with inherent worth and dignity, Humanity and creation are inextricably linked, Human Beings have the sacred responsibility of caring for creation, ensuring its resilience, and nurturing and renewing it for future generations. world marked by justice compassion hope, shared abundance, and radical inclusiveness. responsible for your fellow quad citians. Responsible for your fellow Americans. Responsible for all beings in the world. I know it sounds like a lot. And so often we step back and do nothing. But just because we cannot do everything, should not mean that we should not do the thing we can do. And if I have found out anything in my life, It is that we are capable of so much more then we realize. And it matters what we do. We have to believe that it matters what we do, or what is the point. And although it is true the future is unknown, it is not inevitable. So to create and live out this or whatever our transformative narrative or our vision is requires us to commit and organize and be in relationship with others. but as well we need to be in relationship to those who don’t have power and hear what their needs are, and commit to walk with them on their journey, and then we must walk with them, and show them a path to power and then we must let them have power. UU Theologian James Luther Adams wrote we are the prophethood and priesthood of all believers. And so I ask you to think about what you are called to do in this world. What is it that drives you, keeps you going, what is it at the core of your being that is the most important thing that needs to be changed in the world. I ask you to look at where you suffer or have suffered in the world. And through examining our own suffering, we can transform that suffering through action and often that happens to be what needs changed in the world. So I invite you to change your world and to change the world. I want to live in a world where Melians are free and independent. As Hillel say if not now, when. I can tell you from personal experience, tomorrow is not guaranteed. So let there be a sense of urgency in our work. The work may not be finished in our lifetime, but it will certainly take longer if we do not do our share of the work now. So as we ready for Thanksgiving let us organize our power as we journey through the wilderness to the promised land, the promised land of justice and freedom. No distant period is a relative term, but hopefully we can still be guided by an exalted justice and benevolence. Now morality is a tricky thing isn’t it. Especially looking at it historically. It is important to point out that Washington for all his greatness, was a slave owner. Yet unlike many other leaders of his time, in his will he did free his slaves upon the death of his wife and provide for their education. So how do I claim the moral high ground. I don’t. I claim my moral ground. And I ask you to claim yours as well. We often here fundamentalist religions claiming morality and God is on their side. And because we are open to multiple possibilities we are often not definitive saying this is the only way, or this is the one true way. it doesn’t mean I don’t believe in a better way, or I don’t believe that what I think is moral. about what we as country believe to be moral. “The right of conscience and the use of the democratic process within our congregations and in society at large. And so I ask you as we come upon election day I ask you to consider the moral values of your choices. For me, there are many moral choices. Many of my choices are based on our principles, particularly the principle of justice equity and compassion in human relations. I believe Maintaining health care for pre-existing conditions, Expanding quality physical and mental health care for all through some type of single payer or universal health care system. Now I don’t even care whether you think health care is a right or not. How and to whom we offer Health care is a moral choice about how we spend our resources as a country to care for our fellow human beings. I believe in the continuation of a sustainable Social Security system. This is a moral choice, so that the elderly and disabled will be able to live with dignity and sustenance. I value the moral choice keeping families together in their many forms. I believe it is immoral to put children in cages as a way to coerce their parents. I think it is immoral to break up families and increase poverty due to non violent marijuana possession. I think it is particularly immoral when that is done disproportionately on a racial basis. so people do not have to worry where their next meal is coming from or if they will have a roof over their head. What other choice do we have if we truly believe in justice equity and compassion in human relations. Do you know the other day I read the government objects to free college education because then they would have difficulty in getting anyone to volunteer for the armed services. This might also fit with my belief in the goal of world community with peace liberty and justice for all, not just for Americans, but for all. Is the child born in Bangladesh, of less value than a child born in America? I do believe it is moral in the absence of emergency, just as we do at the Congregation, that we as a country should have a balanced budget that recognizes that those who have the means to, should help those who do not have the means. And perhaps, cutting back on the military industrial complex spending is a way to reach that goal as well as the goal of a peaceful world community. I believe in the inherent worth and dignity of each person and so I think it is moral to respect individuals gender identity and sexual orientation. I think it is moral to protect women’s health rights. I believe we should respect the interdependent web of existence, so I think it is moral to have Sane environmental protections to save the planet for our descendants compared to a deregulation scorched earth policy. still searching for enlightenment, looking upon each others faces with compassion, acting towards our fellow human beings with empathy, and righting the wrongs of injustice. That is what my morality calls on me to do. First what I loved most about this scene was the little kids playing on the floor while their parents voted. I remember doing this when my parents went to vote. Voting was not considered an option in my family. My grandparents who were immigrants to this country considered it a requirement of citizenship, and as well worked as volunteers on election day. Now I know many young people who vote and are engaged in political life. And I know many young and old people who are not engaged in the political process. And I get it. I came of age during the Nixon White House and Nixon’s forced resignation and pardon. And I have lived long enough to understand the inefficiency and corruption that arises in government. Yet I have also been around long enough and studied long enough to see the power of government used for good. To end slavery, to stop fascism. to provide a system to help those who are struggling, to legalize marriage equality, public education, and much more, and it requires constant vigilance and attention as we see the good being constantly chipped away at. Your participation, your voice is important. You may not think your vote counts. But I can tell you it does. I lived in Florida during the Gore/Bush Presidential election in 2000. Although there are still today disputes about voter suppression and the actual final count, but the final tally for official purposes was 537 votes. Out of 5.8 million votes the difference was 537 votes. Imagine if more people had voted how the world would be different today. So don’t tell me your vote doesn’t count. It is a privilege to say your vote doesn’t count. I am reminded of what Rev. William Barber said "We are being asked to be the moral defibrillator for the heart of democracy." Democracy needs us to be engaged. To pump its heart so it will breather longer and stronger, to breathe new life into it. Even if it sometimes needs us to pound it in the chest and shock it back to life. If we are not willing to take responsibility for it, we leave ourselves vulnerable and we cannot just assume the patient is going to live and its death will end our freedom. So vote, go to school borad meetings, city council meetings, zoning board meetings, whatever you are passionate about, be engaged. The other thing that the tv clip reminded me of, the responsibility to vote, because so many people died for the right to vote. 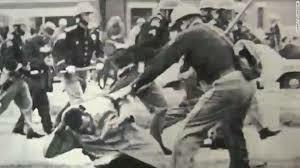 Now the tv show was talking about our armed services fighting for our freedom, but I am also reminded of our siblings, who blood was spilled in this country including Unitarian blood in the fight for voting rights. 1955 Rev. 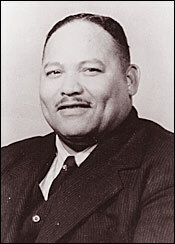 George Lee, used his pulpit and his printing press to urge people to vote. 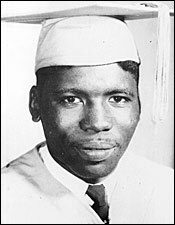 White officials offered Lee protection on the condition he end his voter registration efforts, but Lee refused and was murdered. Rev. 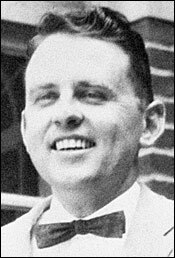 James Reeb, a Unitarian minister from Boston, and Viola Liuzzo a Unitarian layperson from Michigan were killed in Alabama after participating in the Selma March for Voting Rights. Soon after Lyndon Johnson was able to pass the Voting Rights Act, even mentioning Reeb in his address to Congress. All of these people and so many many more, call to us from the grave and call us to be engaged in public life. not a well wishing optimism hope, but rather a hope As Victoria Safford says where “you see the world both as it is and as it could be, as it will be; the place from which you glimpse not only struggle but joy” So Please vote and no matter what happens, stay engaged. Let us continue the struggle together as we build the world we dream about because your lives count and the lives that will come after us count as well, They are counting on us. May it be so. There are days that I hope for a God of Judgement. Until that time arrives, if it arrives, it is up to us human beings to see the work of justice be done on this earth. I sat riveted listening to Dr. Ford’s and Judge Kavanaugh’s testimony. First, I have to say, as a man, I am tentative to speak about this. I feel this is a time to lift up womens’ voices. As a minister though, I feel it is my religious responsibility to use what ever moral authority I have to shed light on the issue and to raise the consciousness of whoever will listen. Throughout my life, first just as a compassionate listener and now as a minister, I have heard women’s stories about harassment and abuse. Earlier this week at a local rally we heard story after story of women harassed and abused by men. And yes, I know men are abused as well, and I do not diminish that, but it is at a much smaller %. And yes, research has shown that a small % of claims brought forth are found to be false. Over 95% of abuse claims are real and true (and a large majority never reported), and personal experience confirms that high %. I therefore believe people and especially women when an accusation is made. And let me assure you that the trauma of such harassment and abuse is devastating and long lasting. We need to change the moral bankruptcy of men in this world. This is not a court of law. This is not just for a nomination on the supreme court. This is a court of moral opinion of how we are going to interact with each other as humans. Changing the culture will require a shift. Men (and women) are enculturated into this machismo misogyny. Every movie with Bogart or John Wayne just grabbing the women and kissing her, makes it seem reasonable to just grab women and kiss them. How many romantic comedies have men stalking women (I think of the movie where he is outside her house with a boombox blasting “their” song) until the women gives in and admits their love. Men do not see this as harassment. They see it just the way things are. When women try to reject these overtures men often become angry and violent. Time and again when women come forward to authorities they are excoriated and forced to endure humiliation for coming forward. Dr. Ford’s testimony was credible. And I cringe even writing that. I am someone who has had to give court depositions, and is interviewed often on television. It is nerve wracking and pressure-filled and you have to be precise and it is difficult to do under normal circumstances. I cannot imagine how it must be talking publicly about a personal trauma. So she was more then credible and believable. She was courageous. She didn’t have to do this. The Republican Senators used an inquisitor who spoke for them when Dr. Ford was on the stand. The Republicans admitted themselves they could not control themselves from saying stupid things. That in and of itself shows their moral bankruptcy. 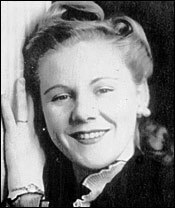 The inquisitor focused her time asking questions that were clearly trying to trip up the witness and show that this was a bigger conspiracy rather then uncover the truth. Dr. Ford did not fall for the bait, from either Republican or Democratic lawmakers (as they tried to get her to expand her story). She told her truth and should be believed. Judge Kavanaugh’s uncontrolled (or crafted) emotional outbursts, his refusal to answer some questions, his obfuscation of other questions, and his partisan attacks shows me a number of things. One he is denying the mistakes of his youth, but worse, he has not learned from them. He thinks he can just bully people and thinks that is acceptable attitude. Second, his temperament and partisanship should be a disqualifier. The fact that he has lied several times and his papers are being hidden, tells me he is not a trustworthy person. He has no empathy for others, as shown by his unwillingness to even shake the hand of the parent of a child killedd by gun violence at the hearings. He doesn’t see that the things he does are harassment. He yelled at and attacked the woman Senator who asked him a difficult question about whether he ever blacked out. He thinks it is ok to yell at senators who are questioning you for a job. Yell, attack and then cry when you are challenged. That is the misogynist way. 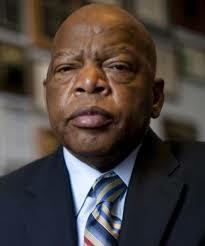 He particularly twitched and was evasive when Sen. Kamala Harris questioned him (A woman of color). When people are in power, or have power over others, it is rare that they give it up willingly. And they fight every time when that power is challenged. The anger we saw from Kavanaugh yesterday and the anger we saw from Republican lawmakers (who finally found their voice to speak to Kavanaugh – I guess it is ok to say stupid stuff amongst men) was this rejection that someone would reject their power over them. In the 19th century we had to have a civil war about this. Instead of looking for truth, instead of showing compassion, they condemned, and by so doing they have fallen short. The committee will approve Kavanaugh. Jeff Flake is the one who has fallen the farthest from God. The other Republicans are unabashed misogynists. Jeff Flake tries to pretend that he is compassionate and reasonable, but in the end Flake votes for Kavanaugh’s approval. He votes for cutting taxes, he votes to cut social programs that will help those who are suffering. He has fallen the furthest because of his duplicity and thus he will end up in the lower levels of hell (if there is a hell or else he will be in long term remediation class in heaven or reincarnated as a mosquito.) We have a President who has been on tape bragging about sexually abusing women. He and the people he appoints are hostile to women’s health issues. They are not arbiters of good morality. The question is what are we going to do about it. If the law will not protect women, how can women protect themselves. How can we support them. It is the question people of color and poor people have to answer every day as well. Yes, I was riveted by the testimonies yesterday. It was like watching a car wreck. It was horrible and I couldn’t take my eyes off it. But unlike car accidents this was not an accident, it is an avoidable and changeable tragedy. For me It is important to witness the tragedy, and it is important to speak about the tragedy, so that we can find a new way. Create a new way. Women, all harassment and abuse survivors, I hear you. I know you are in pain. And I commit to lift up your voices, I commit to work to end the patriarchy that destroys so many lives, and limits so many souls from flourishing, and ends love. I have to work hard not to let love die in my soul, when these events happens. I am human. I have my own failings. I get discouraged, I have had my own tragedies. I take time to look within myself and see what can I do or not do to help make things better. Ending the patriarchy is not being anti-man. It is to end men’s control over women. That can be freeing for men as well, but certainly and mostly it is about justice for women. As a religious leader, it is my role to speak the truth and to espouse a vision of a better way to be in community even if those in power do not agree. I also know it my role to lift up hope and the possibility of a world based on compassion and love. One of the greatest gifts Unitarian Universalism has given me is that it opened my mind, and then my heart to hearing other people’s stories and perspectives by being in relationship with them in a covenanted community. 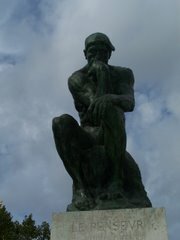 It is hard to let go of old ways of thinking. But since I had covenanted to be in right relationship with people I learned to listen and to change and grow. I believe it can happen for others and the world. It is why I became a minister. To share that message that love, compassion, hope and change is possible. It may not be today, it may not be in my lifetime, but I will do my share in my time to bring that about, in every small and large way I can in the here and now, and I ask you to do so as well. Do not give up. DO NOT GIVE UP. Do not sit back. The old ways are dieing, but they are not going quietly or peaceably as we saw on display at the Kavanaugh hearings. And the patriarchy seems intent on taking everyone down with them before they change. All good people need to join together and listen and believe and act together. I hear you, I believe you. How can I help you change the world.